It's Winter - time for a cozy getaway! It's official - today is the Winter Solstice - the first day of winter! We in the northern hemisphere have the least amount of sunlight of any other day of the year. You can spend some time by the fireplace in one of the rooms at Pheasant Field Bed & Breakfast to warm up your winter days or nights. In January, we will offer a sure cure for Cabin Fever - stay 2 consecutive nights and pay for only one! When you combine our Cabin Fever special with discount lift tickets for skiing at Roundtop Mountain Resort, you will have started your new year with big savings! 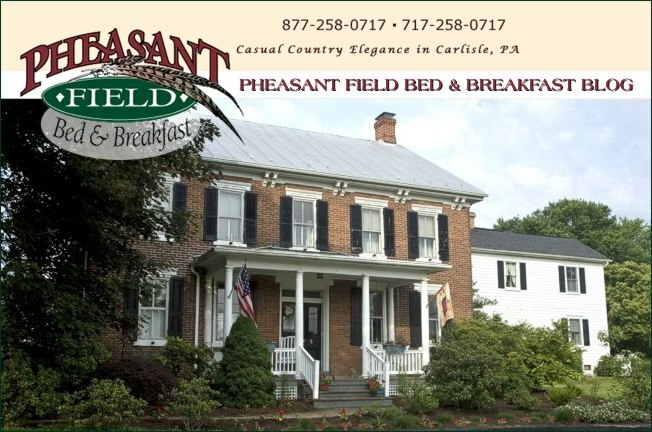 There is still time for a last minute Gift Certificate for a stay at Pheasant Field B&B. We will send the Gift Certificate electronically to beat the Christmas countdown. We still have rooms open for New Year's Eve. You get a free admission to First Night with your stay at Pheasant Field B&B. Make your reservation now to celebrate the beginning of 2012! We wish you a very Merry Christmas and health, happiness, and prosperity in the New Year!